The American Celiac Disease Alliance is working diligently to urge the White House to force the FDA to create much needed Gluten-Free standards. They created the below message and Petition to the White House, and need 25,000 signatures for the Petition to be heard. Read below and sign if you agree that Gluten-Free standards are imperative for us Celiacs. Last year, Food and Drug Administration (FDA) officials made a commitment to the celiac community that the gluten-free labeling rule would be completed by the end of the third quarter of 2012 (September 30). That date has come and gone. The FDA has already heard from us. It’s time for higher officials to know the celiac community needs gluten-free labeling standards, NOW! The White House has provided us the opportunity to express our concerns through an open petition. Make sure your voice is heard – sign the petition on the White House We the People webpage. What does the petition say? The Food Allergen Labeling and Consumer Protection Act required Health and Human Services to set a gluten-free labeling rule by 2008 to aid people with celiac disease, a life-threatening autoimmune condition. The only known treatment is a strict gluten-free diet. 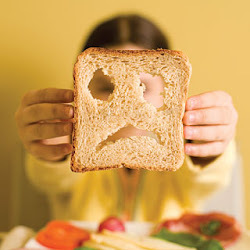 An estimated 3 million Americans have celiac and even more may have non-celiac gluten sensitivity. Without adequate labeling, those on a medically prescribed gluten-free diet struggle to make safe food choices and stay well. Children with celiac cannot participate in the National School Lunch Program when food service staff cannot determine if products are gluten-free. In 2004, the Food Allergen Labeling and Consumer Protection Act required the Department of Health and Human Services to set standards for gluten-free labeling by 2008. The rule is now over four years late. The FDA is working hard to get the rules done, but the White House also must know that the health of millions of Americans is at risk because they don’t have access to basic information about product ingredients. Will this petition make a difference? According to the White House, if enough people sign the petition, it will be reviewed and administration officials will respond to the signers of the petition. In other words, we’ll have their attention. Anyone age 13 and over can sign the petition. In order to sign, users must create an account at WhiteHouse.gov and verify their email address. It’s quick and easy. We need at least 25,000 signatures by November 2nd. So don’t dawdle! Get your family, friends, neighbors, teachers, anyone you can, to a computer to sign the petition. Sprinkles Cupcakes - Get Um' in an ATM too!